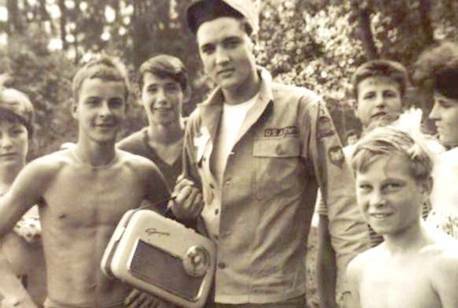 Can you identify Elvis’ radio? 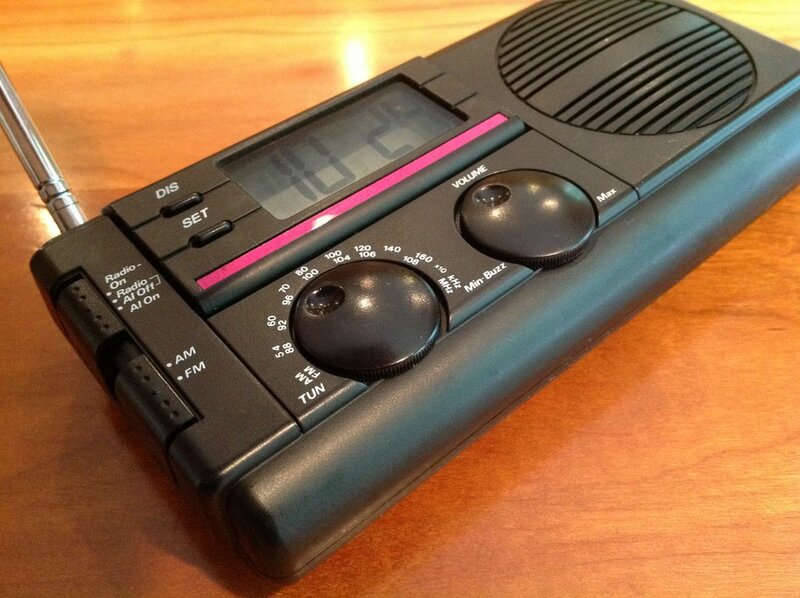 I am attempting to find out more information about this particular radio [see above]. The photo is from around 1959–no idea how old the radio is. Thanks, Bud. I did a little research and it appears this photo was taken of Elvis while he was traveling in Germany. 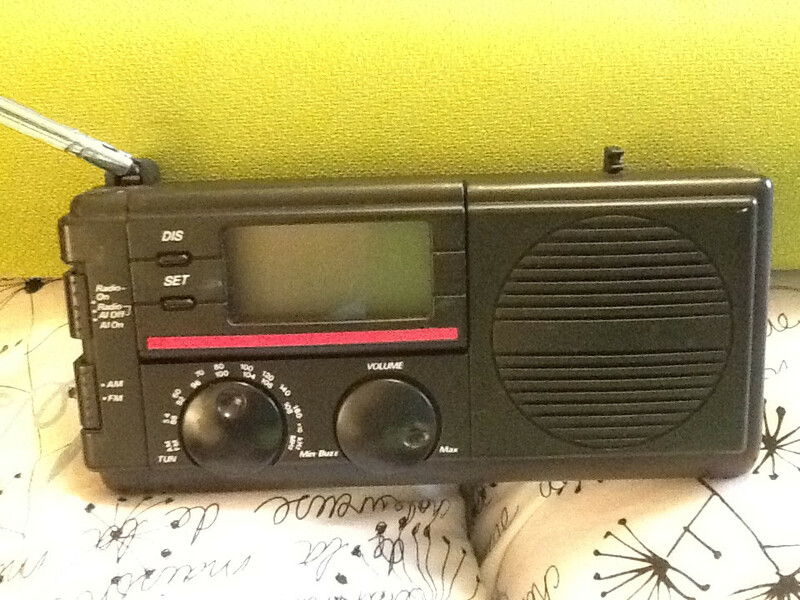 The radio has a familiar design from the era with a large speaker and round, front-facing tuning dial. I can’t make out the manufacturer’s name in the image. 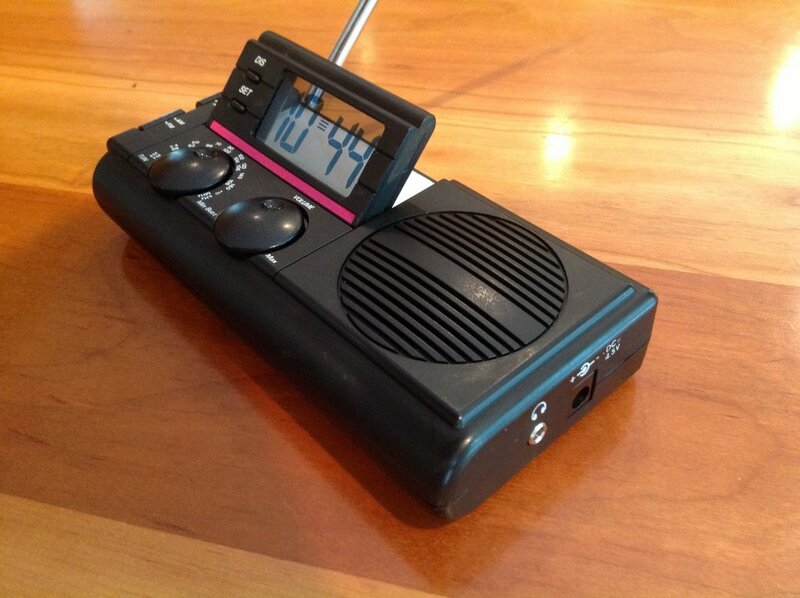 Post readers: Please comment if you can help Bud ID this portable radio! This entry was posted in News, Nostalgia, Vintage Radio and tagged Bud Glass, Elvis, Mystery radio on August 3, 2017 by Thomas. Can you identify this mystery radio? Yesterday, at the marché aux puces de Sainte-Foy (Sainte-Foy flea market) in Québec City, I stumbled across the little receiver above in a box of junk under a vendor’s table. 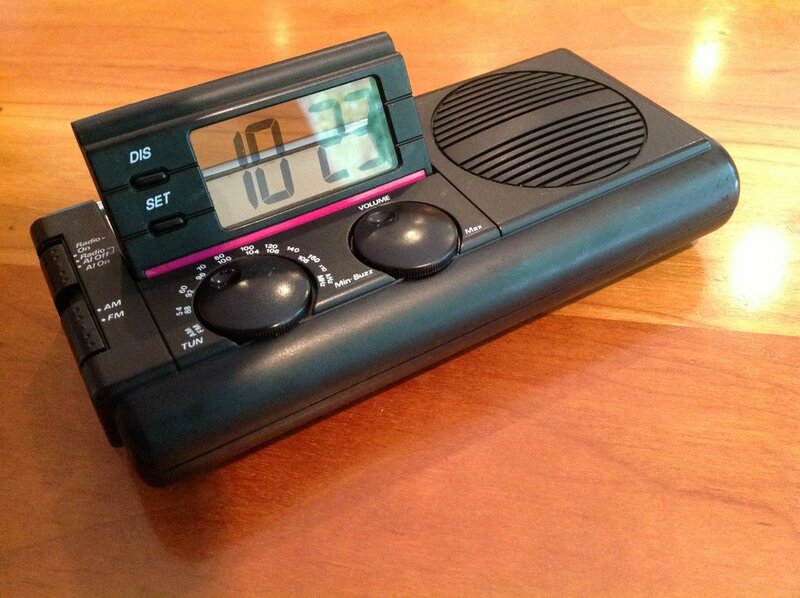 I’ve actually worked up a short post about this radio and will publish it tomorrow, but first I’m curious if any Post readers can identify it based only on the photo above. I’ve purposely cropped the image so it’s slightly more challenging. Still, there are so many radio enthusiasts here on the SWLing Post, no doubt someone will quickly ID this radio. Please comment with the make/model and type of receiver if you think you’ve got the answer to this radio challenge! Here’s a hint: I haven’t seen a receiver like this in decades. Good luck! UPDATE: Click here to read our follow-up post. This entry was posted in News, Radios and tagged Mystery radio on June 19, 2017 by Thomas. Here’s a fun challenge for the SWLing Post readers. 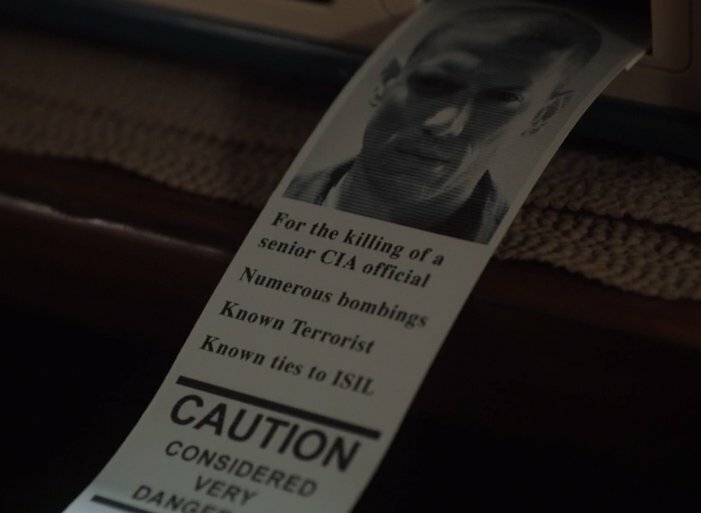 On the Fox show Prison Break Season 5 Episode 7, they show this “Marine Notification System” printing out a wanted message as the captain sits in his ship and looks on. Thanks for the fun challenge, Aaron. 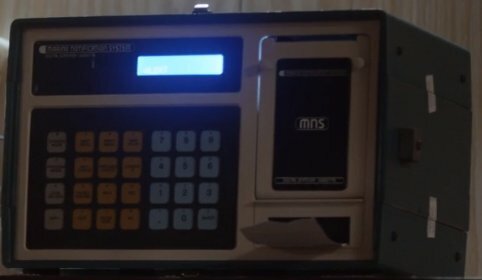 So I guess we first have to decide if this is truly a device that’s in service in the real world, or simply a prop made for the episode. 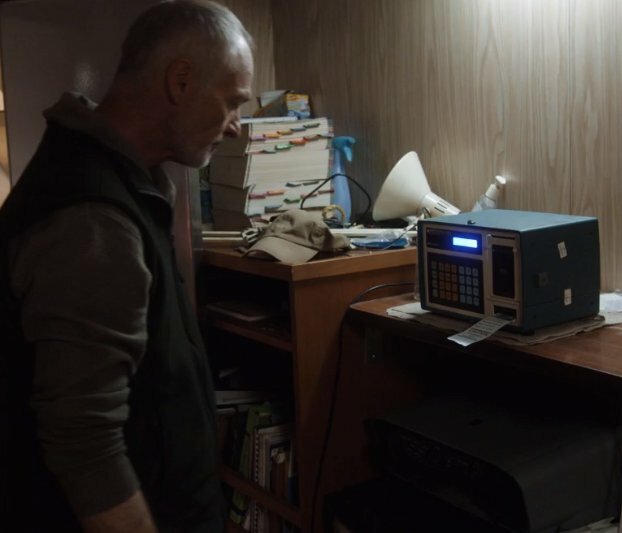 I’m willing to bet that someone in the SWLing Post community can ID this device! This entry was posted in News and tagged Aaron Kuhn, Mystery radio, Prison Break on June 1, 2017 by Thomas.